Say goodbye to sweaty areas! 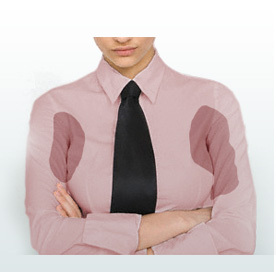 Over-sweating can be treated. There is now a solution for excess sweating. Your trusted source of Drysol for more than 10 years! Introducing the new regular strength drysol. Suitable for treating excessive sweating or hyperhidrosis in the underarm area. 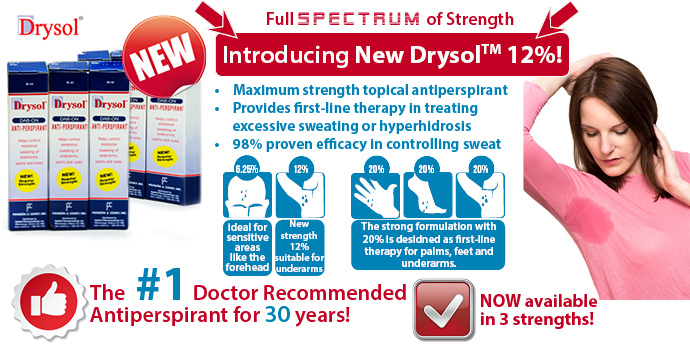 Drysol Extra Strength Dab-On is an antiperspirant used to treat excess perspiration problems. Dab-On style is easy to apply. Due to its lower concentration, it is especially suited for the face, back, and toes and is also excellent in maintenance therapy.